Product Typical Italian whose diversification and name are protected against imitation and plagiarism. 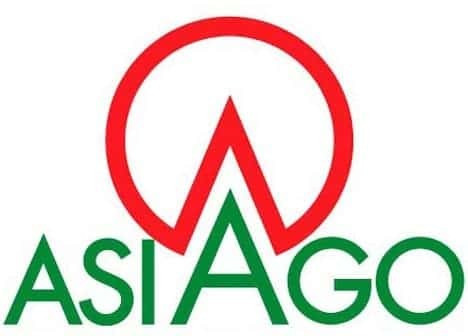 The Asiago protected designation of origin is reserved for semi-cooked cheese, produced exclusively with cow's milk, obtained in compliance with the production specification, divided into two different types of cheese, pressed Asiago and Asiago d'Allevo. The PDO Asiago cheese is produced with milk from cattle breeding located within the defined area and in dairies located within the same area that is specified below: province of Vicenza: the whole territory; province of Trento: the whole territory; province of Padua: the territory of the municipalities of Carmignano di Brenta, San Pietro in Gù, Grantorto, Gazzo, Piazzola sul Brenta, Villafranca Padovana, Campodoro, Mestrino, Veggiano, Cervarese Santa Croce and Rovolon; province of Treviso: the territory thus delimited: taking as a reference point the town of Rossano Veneto, in the province of Vicenza, the limit follows the road Rossano - Castelfranco Veneto up to its intersection with the national road n. 53 "Postumia". It runs along this road, cross the ring road south of Treviso, to its intersection with the highway Alemagna. The boundary continues north along the line of said highway to the river Piave. Then bends to the west along the right bank of the said river to the border of the province of Treviso with that of Belluno. From this point the boundary coincides with the boundary of the province of Treviso to the point of meeting of this border with the province of Vicenza. The above production areas, which are located at an altitude of no less than 600 meters, are identified as mountain areas. Asiago cheese, both in the pressed and in the pressed type, is produced with milk that complies with the health regulations in force. However, it is allowed to breed dell'Asiago production in huts during the mountain grazing period with milk as an exception to the relevant health regulations. The milk must be stored at a temperature between 4 and 11 degrees Celsius and should be processed within the maximum time of 60 hours from the first or second possible milked. In case the Asiago cheese is produced from raw milk, the transformation must be obtained within 36-48 hours after entering the factory, according to the current provisions. For the production of pressed Asiago cheese milk can be used, arising from one or two milkings, raw or pasteurized 72 15 seconds to degrees Celsius, according to existing regulations. For the production of Asiago ripened cheese can be used milk from two milkings partially skimmed to separate the cream, or from two milkings of which is partially skimmed naturally, or from a single milking well as semi skimmed naturally. It can be used raw or thermized to 57 / 68 degrees Celsius for 15 seconds with analytical parameter phosphatase positive. We do not allow further treatment to milk beyond those expressly provided for in this specification. For the production of Asiago DOP cheese which bear the words' mountain product "is allowed to use milk or 2 4 milked, but the processing of the milk must be made within 18 hours of receipt, in case of use of milk milked 2 , and within 24 hours of receipt in case of use of milk 4 milked. The milk place in process for the production of pressed Asiago must be whole milk and the mixture in the boiler must be constituted by milk, lactic acid starter culture or, bovine rennet and possibly small amounts of sodium chloride. During processing may also be added, for technological needs, the amount of drinking water. In the case of production of Asiago d'allevo the milk placed in processing is partially skimmed milk by surfacing, possibly added with lysozyme (E 1105) within the limits of the law; the mixture is therefore made up of partially skimmed milk, lactic ferments or lactobread, bovine rennet, any modest quantities of sodium chloride and lysozyme. The use of Lisozima (E1105) is in any case prohibited in the production of the "Asiago" PDO, which bears the additional mention "mountain product". The milk intended for processing into pressed Asiago must derive from one or two milkings. The milk for processing in Asiago ripened must derive from two milkings partially skimmed to separate the cream from two milkings, one of which skimmed naturally or from a single milking well as semi skimmed naturally. Select a category to get a list limited to corresponding typical products. You know this product? Contribute to this project too! Publish a description and images of "Asiago DOP". Select a city of art to display the description. ... at the discretion of the editorial staff.